Detroit rapper Black Milk is one of the most promising young producers in indie hip-hop. He grew up with the generation that saw J Dilla as a model, and his productions reflect this influence. He first rose to national attention with his contributions to Slum Village's fourth self-titled disc. Along with fellow Detroit producer Young RJ, Black Milk formed BR Gunna. The duo released Dirty District: Vol. 2 on Barak Records in June 2004 to critical praise. Black Milk released his solo debut Sound of the City in 2005, which was followed by the Broken Wax EP in the fall of 2006. 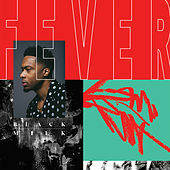 Though it's unfair to call Black Milk a Dilla clone, there are several stylistic similarities between the two, and with Dilla's demise in early 2006, hip-hop devotees tried to anoint Milk the heir to his throne. He didn't disappoint. Popular Demand came as somewhat of a revelation in 2007. Sparse, lo-fi and sublime, it cemented Black Milk's reputation as a master of hard drums and electro hip-hop. 2008's Tronic further expanded his palette, pulling from pop, neo-soul and revivalist boom bap.